Hon Benjamin Yeboah Sekyere, the MP for Tano South Constituency after assuming office as the Deputy Minister for Ahafo Region has paid courtesy call on chiefs in the Tano South and North Municipality to brief them on his new appointment and latter worshiped with the local council of churches to thank Almighty God at Derma. 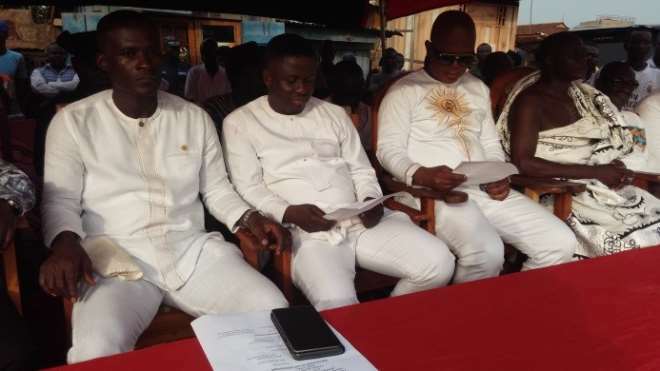 Accompanied to the programme were Hon Collins Offinam Takyi, the MCE for Tano South, Hon Ernest Kwarteng, the MCE for Tano North, the formal Member of Parliament for Tano South Constituency Hon Andrews Adjei Yeboah, Tano south Branch of New Patriotic Party’s Executives, Hon. Assembly Members and some heads of department. 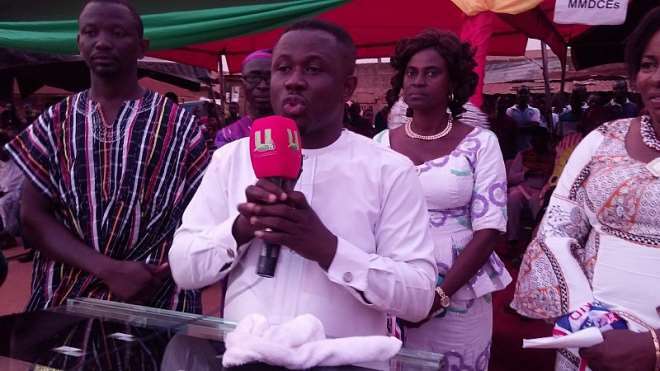 At the communities and thanks giving service, the Deputy Minister for Ahafo Region said His Excellency Nana Addo Dankwa Akufo – Addo and his government have been able to identify problems confronting the residents of in the Region and said he would collaborate with the Ahafo Regional Minister to address the problems and informed the chiefs that all documentations to tarre Bechem -town roads have been completed by government and assured them that work on the roads will be commenced before June, 2019.
hinted that more of the region’s resources will be used to develop tourist sites to create employment for the youth thereby helping to reduce high incidence of rural-urban migration. He called on residents in the region to come together as one people to fights for development projects rather than allowing politics to disintegrate them. In another development, the MCE for Tano South Hon Collins Offinam Takyi said the resources belonging to the region will be distributed for the districts equally to make each district carries out development projects to help improve the living standard of the people. Also, he urged residents in the region to honour their tax obligations to make government get enough money to carry out projects and implement other policies and programmes. 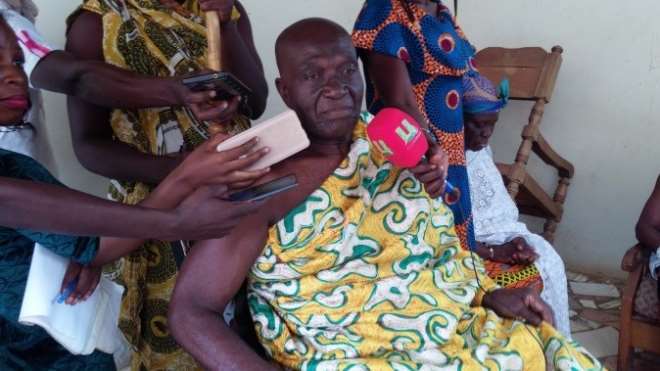 Nana Fosu Gyeabour Akoto II, the Omanhene of Bechem Traditional Area and other chiefs advised the Minister to work hard to ensure the residents in the region benefit from government policies and programme and informed party’s executive members to use appropriate medium to address their grievances rather than washing their dirty clothes at the public.